BHP Senior, Neal Makkar, was one of six students selected to join The Friar Society this semester. Neal was initiated into the group Sunday, November 9. Each student initiated into The Friar Society has made a significant contribution to The University of Texas, whether tangible or intangible, one act or many. Neal is an outstanding student and has been heavily involved across campus. As a Chairman of the Texas Blazers, Neal has organized many events including a fundraiser called Frisbee Fling, which raised about $15,000 for the organization’s UT endowment. As a Co-chair for the McCombs College Tuition and Budget Advisory Committee (CTBAC), Neal also works closely with the deans of the business school in setting tuition rates and budget allocations based on student feedback. He is also very active in the BHP community as a Peer Advisor, Peer Mentor, Co-Chair for Discover BHP, Co-Chair for Make-A-Mark and the student representative to the BHP Alumni Advisory Board. Other on-campus affiliations include the Indian Cultural Association and the Texas Round Table. After graduation, Neal is off to Houston to work for McKinsey & Company. The Friar Sociey was founded in 1911 with a mission to recognize students who have made significant contributions to the University. The society’s members embody the organization’s creed of recognizing history, serving the community, and bringing honor to The University of Texas. The organization and its members have served their university, state, and nation over the last 100 years as governors, ambassadors, university chancellors, faculty members and presidents, congressmen and -women, judges…the list goes on. The society and its members are united by the purpose to associate together leading members of the university for mutual benefit and cooperation, and to promote the best interests of the university and the student body. More information on Friar Society can be found at http://www.friarsociety.org/. Congratulations, Neal! 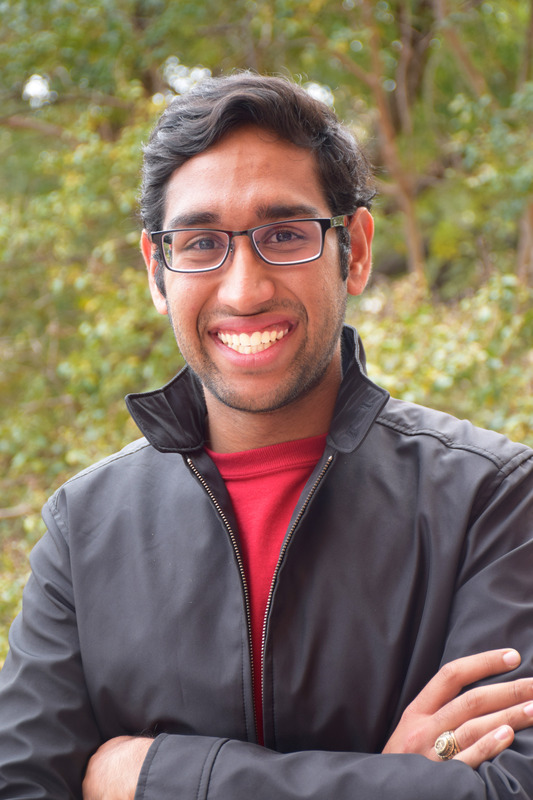 This entry was posted in News, Student Profiles and tagged friar society, neal makkar. Bookmark the permalink.